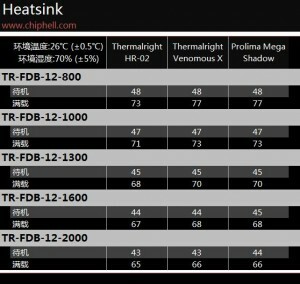 Thermalright has recently brought to market a huge new ‘fanless’ CPU heatsink for most sockets including 775, 1156, 1366, AM2/3, and 939 called the HR-02. 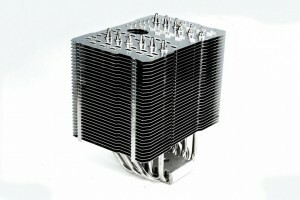 The HR-02 is touted as having the cooling capacity to be able to run fanless. According to Expreview.com (link through google translate), who is one of the few sites that has had a chance to review this piece, there are several design implementations that help this monster achieve that bold statement. You can also mount a 120mm or 140mm fan to this beast for even better cooling, but note that the 140mm fan will stick out past the base of the cooling fins. Due to its offset design however, all your ram slots (even tall triple channel) should not be an issue. The cooler is made out of copper and has a complete nickel plating around it to hold off the effects of oxidation. The HR-02 has 6 heatpipes that start from just above the factory convex base and travel through the entire length of the fins. Let it be known this is a large heatsink. It measures in at 140mm x 102mm x 163mm, and weighs in at a motherboard bending 860 grams! So how does it perform? 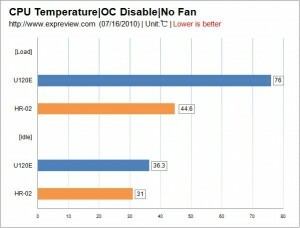 Take a look at these graphs by both Expreview.com and Chiphell.com and see for yourself. 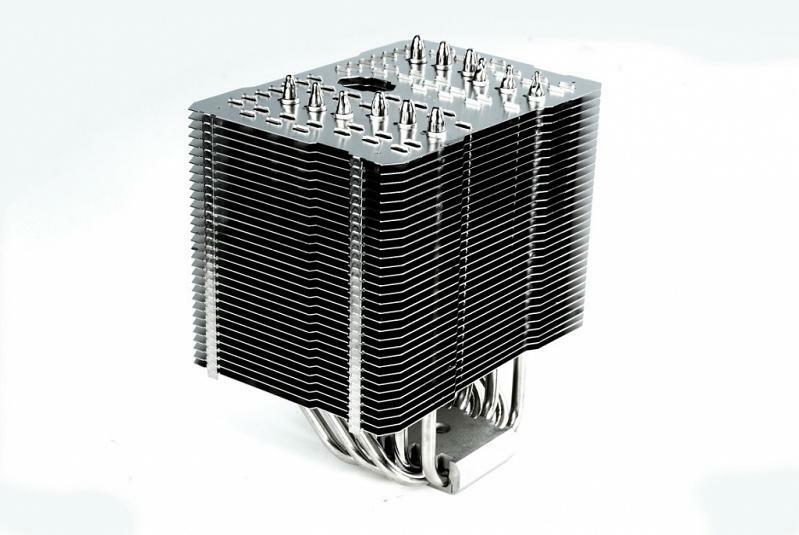 After mulling over the results from Chiphell.com, where an I7 920 @ stock speeds was used, this does look to be a formidable heatsink with fans too. 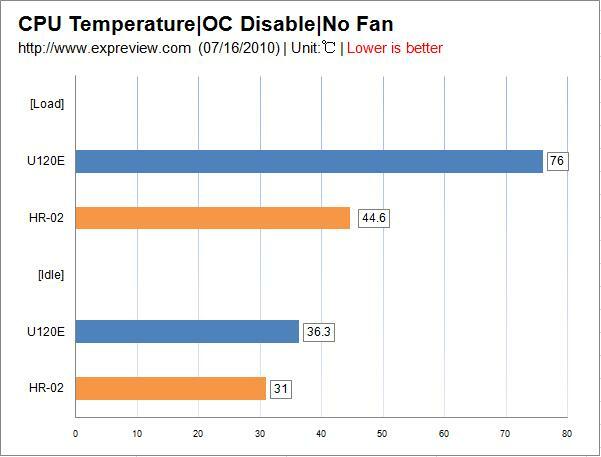 In that testing it beat out the Venomous X and Prolimatech Mega Shadow across the board, but with more significant temperature differences in the low RPM fan tests. 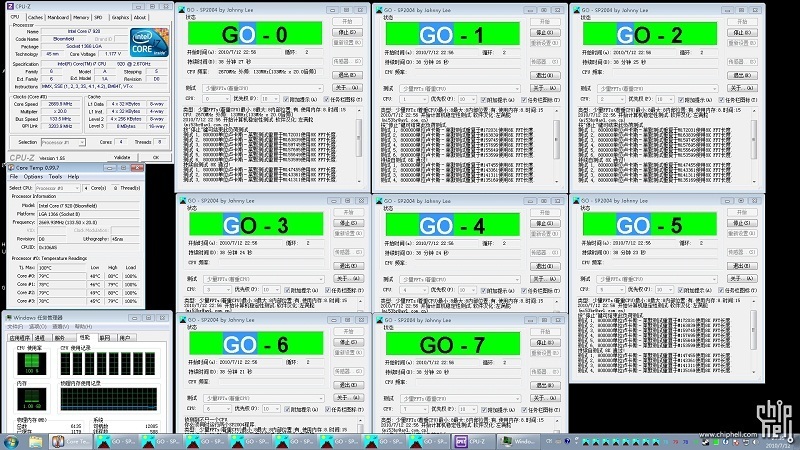 As you can see from the second set of graphs, it kept an i7 920 at 51C idle and loaded to about 80C. Not bad at all for no fans. 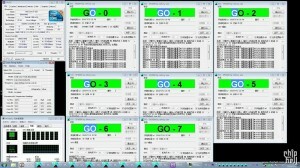 But note that does not really leave much room, if any at all, for overclocking in that configuration. You would undoubtedly need a fan to overclock these quad core intel CPU’s with HyperThreading enabled or some great case airflow across this monster. 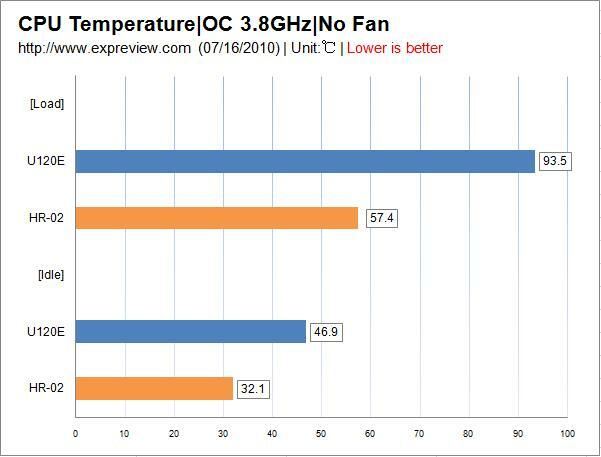 In the third set of graphs, you can see it seemed to do just fine with that Q9650 CPU at 3.8Ghz and no fans. According to Expreview, the pricing for this unit will come in around $73 dollars (500 Yuan converted to USD) and this is without any fans. There was no mention of availability in the two articles but I would imagine this unit should get some consideration, especially for those that are running stock CPU’s and really want a silent cooling solution. I’m looking forward to seeing more reviews on this product to see how it holds up to overclocking and some AMD CPU’s. :eek: 3.8ghz... FANLESS!?!?! That's pretty darn nice. Nice looking and not to shabby either on performance too!